Martha Porritt, Kimberle Kelleher, Elise Nai, Laurie Andersen,Johnna Davis, Nancy Morrow, Dianne Dunlap and other Clubsport riders took on the Bridges on June 13, 2015. It was a beautiful day with the usual winds. 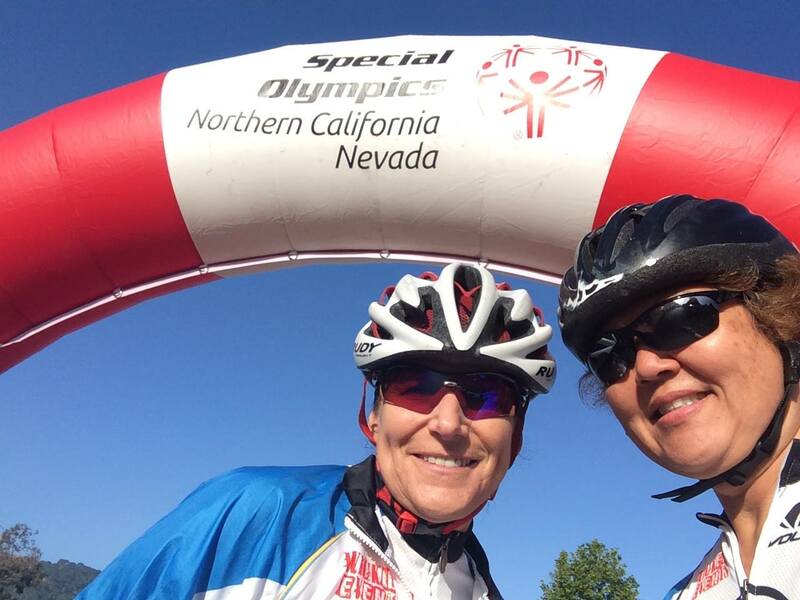 The race benefitted Special Olympics. 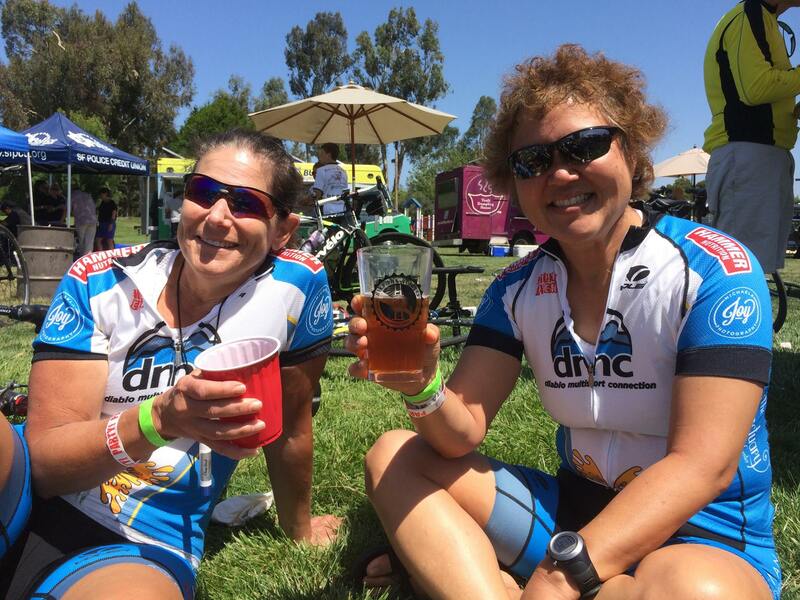 Nancy and Johnna challenged themselves with a time trial to be “queen of the mountain”. The 25 and 29 mile rides have spectacular views of the Bay. There’s lots of climbing with over 2000 feet and crossing two bridges. The after party is great. There were live bands and barbecue meats and salads included in the ride. There were also food trucks offering other great stuff to eat. The really cool thing is that there was a beer garden with at least 7 different booths, including a Martinez startup. Can either buy $5 per glass or purchase all you can drink for $20 which included a glass online or $25 on that day.